Part of PCA’s work is to encourage people to become more interested in plants and plant conservation. People used plants a lot in the past, for many purposes, and there were plenty of Seychellois who lived or worked in the hilly areas of the islands, surrounded by forest. These people got to know the surrounding plant species well. Nowadays more and more people live in built-up areas where most of the plants are introduced species. 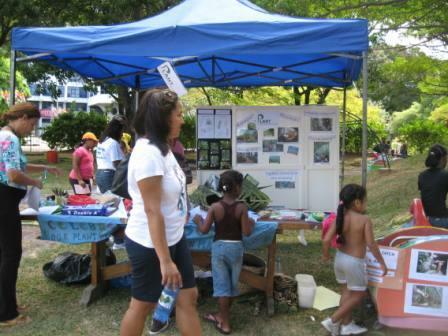 Many people love their gardens but they no longer value the native species in the same way, and although they are often aware that endemic species exist in Seychelles, this is not a major concern.PCA values the plant knowledge that Seychellois do have and we want to encourage older people to share this with the younger generations. In order to help with the dissemination of formation, PCA tries to publish material (e.g. books and newspaper articles) that will be easy for people to read and understand, including material that can be used by students and teachers. Hence our publications list includes plant recognition books, and our newsletter ‘Kapisen' has articles which give the results of complex scientific research and monitoring in a simplified way, as well as news about our projects and other activities. In 2012 we produced a film as part of the PCA Herbarium Project. Called “Antigonn – Zakobe: Eski ou konn bann plant Sesel?”. You can borrow a copy on DVD from PCA - ask at the Natural History Museum or email us. 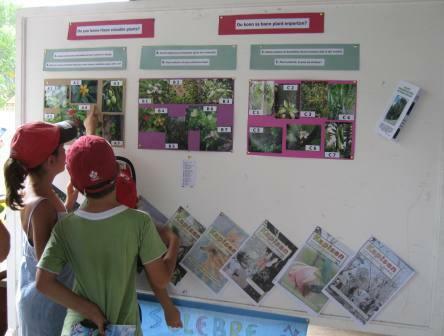 A big part of the Herbarium Project was the preparation of a Plant Exhibition , which was at the Natural History Museum in Jan-March 2013 and then travelled to different parts of Mahe where it was hosted by hotels and community centres. We continue to use some of the fun activities which were created for the exhibition. Did you visit our PCA stall in the Eco-Village tents? If so, you might see yourself in a photo here! If not, then these photos may give you an idea of what you missed out on - some interesting and fun activities and a chance to find out more about PCA activities and projects. These are things that we use every day. All of them originate in one way or another from plants!